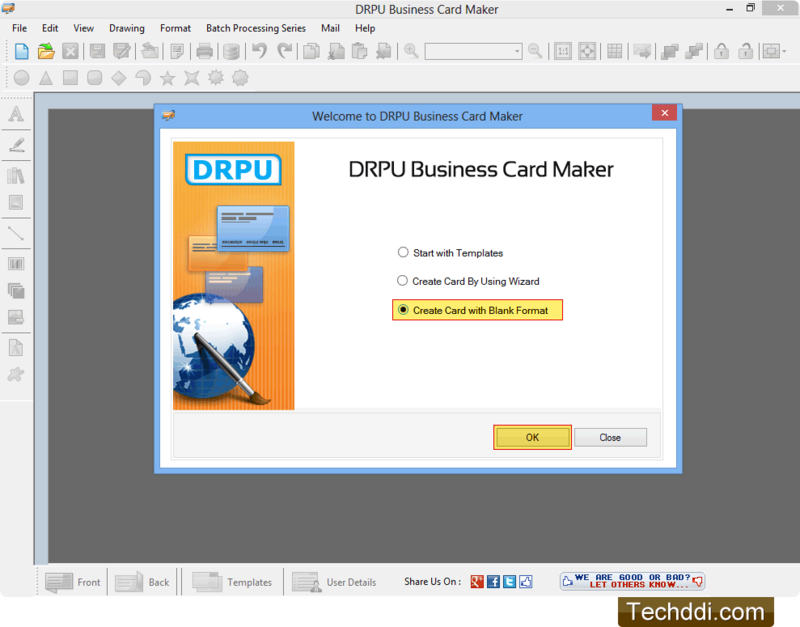 Choose any one option from Start with Templates, Create Card By Using Wizard, or Create Card with Blank Format. 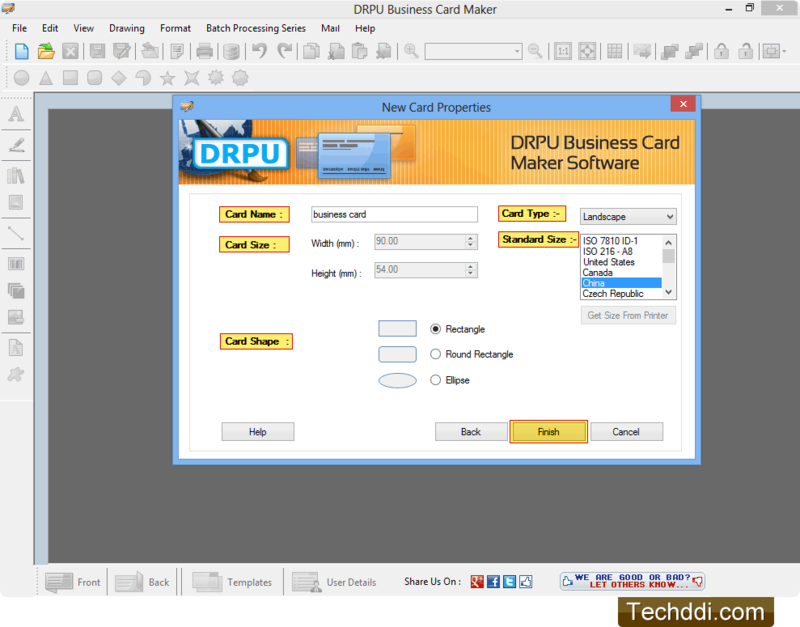 Enter Card Name, Size, select Card Type and choose Card shape. Click 'Finish' button to proceed. Design business card according to your requirement. In card properties you can adjust brightness, contrast, and hue of card background. 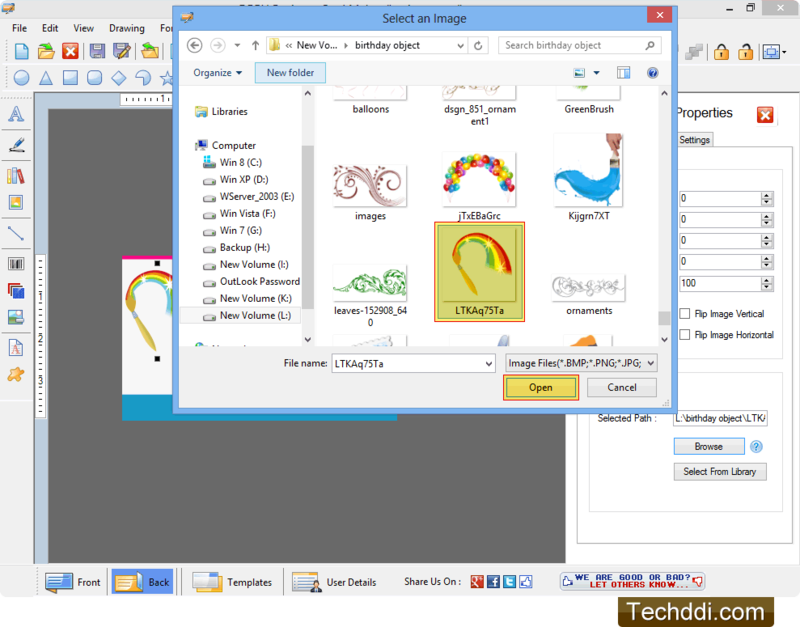 To add image on business card, you can browse path of image saved on your computer. 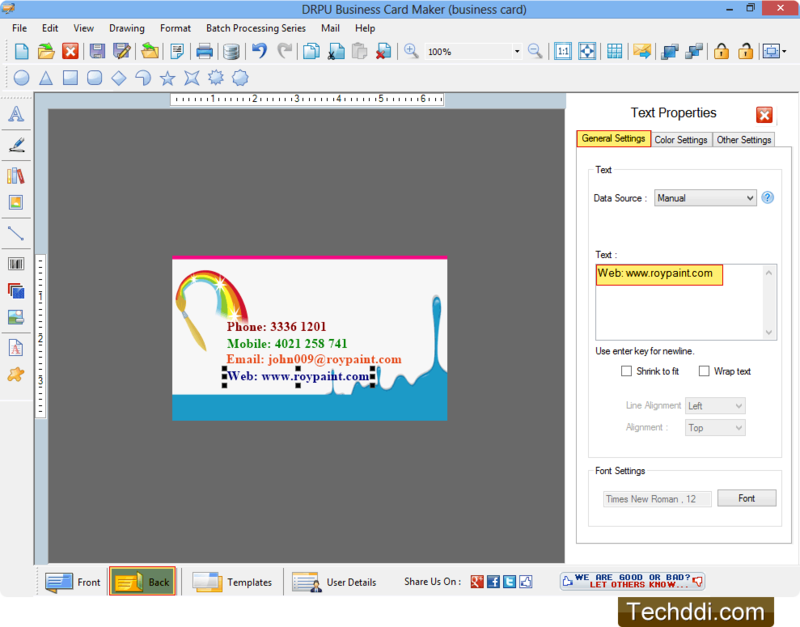 You can add text on business card and adjust various text properties. 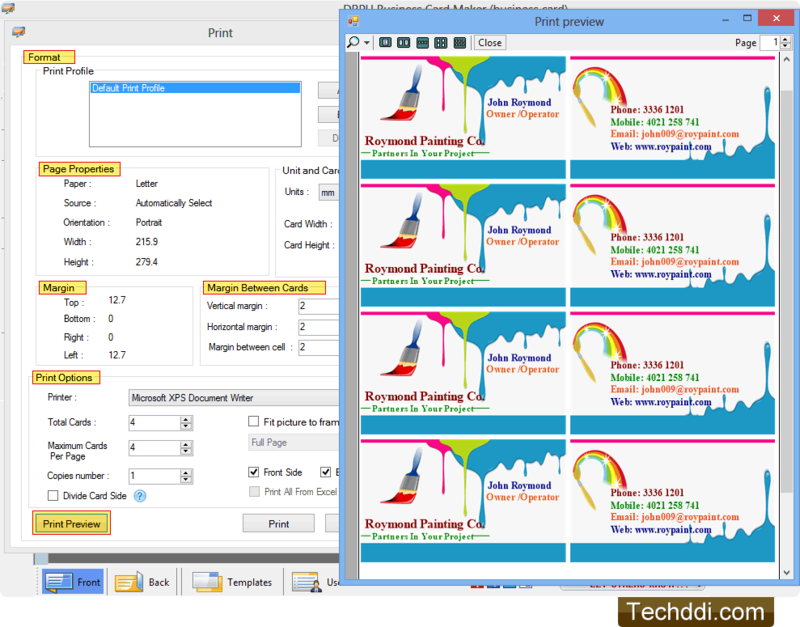 To print designed business card, fill various print properties and click on Print button. 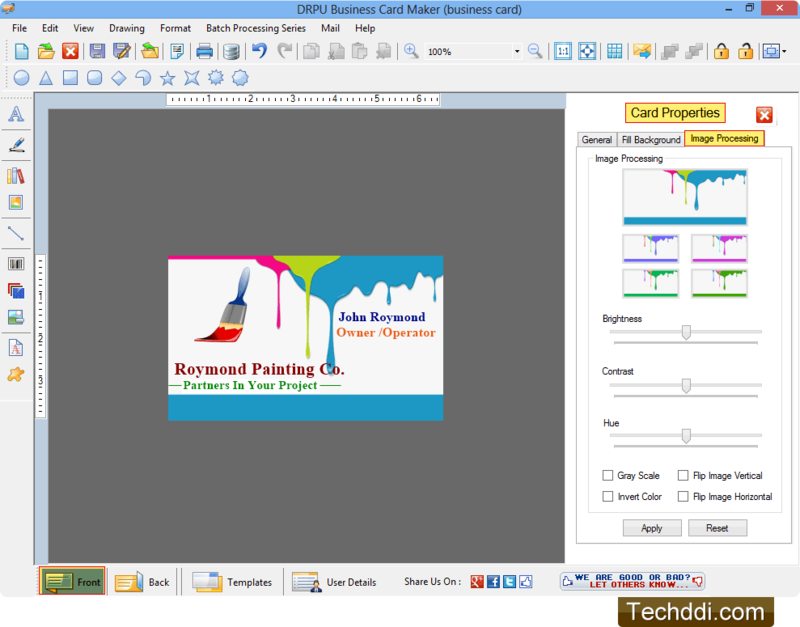 Using Print Preview option you can see the print preview of business card.